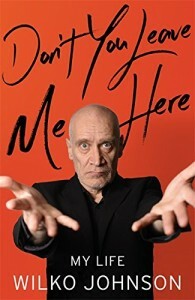 Wilko launches his new memoir ‘Don’t You Leave Me Here’ (Little, Brown) on June 2nd, 7pm, Rough Trade East, London! 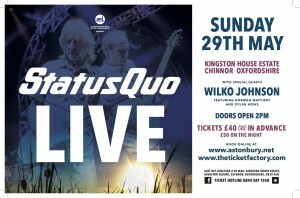 Wilko will be in conversation with music writer (and ‘Looking Back At Me’ collaborator) Zoë Howe. Expect some top anecdotes! Click here for further information. We will share details of other book signings and events very soon! Wilko and the boys will be on the road again in October, playing a selection of UK dates. The fantastic Aaron Keylock will be supporting the band on this run of dates. Pre-sale tickets are available via Planet Rock from 9am, Wednesday April 13th. Tickets go on general sale on Friday 15th. Wilko book coming in May – plus a curated Chess album! Not only will Wilko’s hotly anticipated autobiography ‘Don’t You Leave Me Here’ be published in May (Little, Brown) but there’s also a record to look forward, namely a two-disc compilation of Wilko’s favourite recordings on the legendary Chess label. We were surprised to receive a number of messages from fans enquiring as to why Wilko has ‘pulled out’ of Laugharne Festival this year – Wilko was not actually available for this date in the first place, so his subsequent inclusion on the bill was incorrect. We are sorry if any of you were misled and bought tickets on the understanding that Wilko would be present, or indeed if you were concerned as to what had happened – we are happy to assure you that Wilko is well and looking forward to the UK tour which begins in April. Take a look at this fab interview with Wilko Johnson in advance of the UK tour with Joanne Shaw Taylor, which is looming ever closer! The interview is in the Newcastle Chronicle – please note the upcoming Newcastle date is at the O2 Academy on April 15th and not the Sage Gateshead. Looking forward to Record Store Day on April 16th? 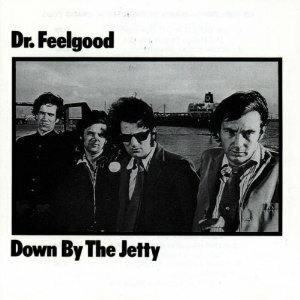 This limited edition white vinyl of ‘Down By The Jetty’ may spark your interest. Wilko is among the first authors confirmed to appear at this year’s Henley Literary Festival, which takes place in September / October. It’s the tenth Henley Lit Fest and will be a copper-bottomed blast! Wilko will be talking about his upcoming memoir ‘Don’t You Leave Me Here’ (Little, Brown) which will be published this Spring.